I just spent a week in Dallas and ate at two restaurants worth checking out. 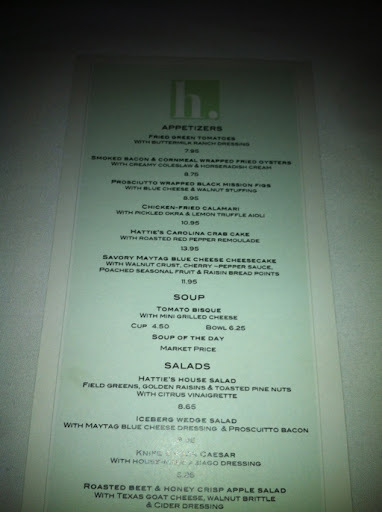 The first restaurant, Hattie's, is located in the Bishop Arts District of Dallas. Open for 10 years, this restaurant consistently delivers delicious food in a warm and inviting ambience. 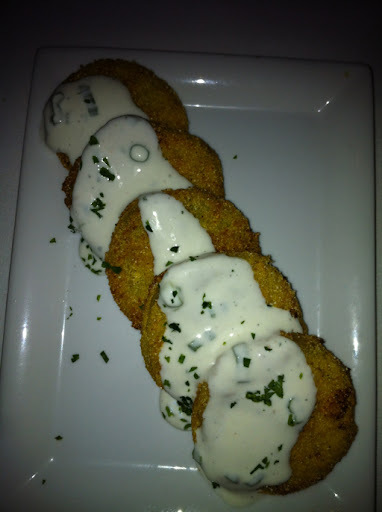 If you go here, the fried green tomatoes are a must for an appetizer. 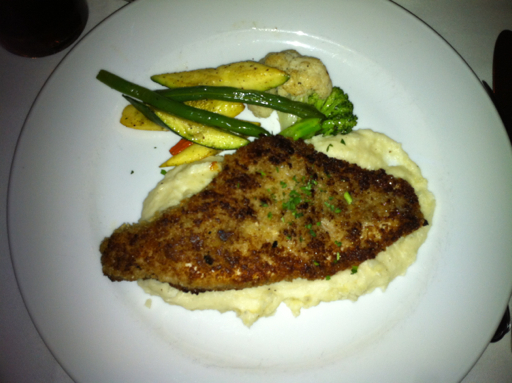 I ordered the pecan crusted catfish served over a bed of mashed potatoes with seasonal vegetables. The catfish came with a lemon butter sauce that I got on the side and did not even use. My dad ordered the meatloaf which you can't go wrong with here! 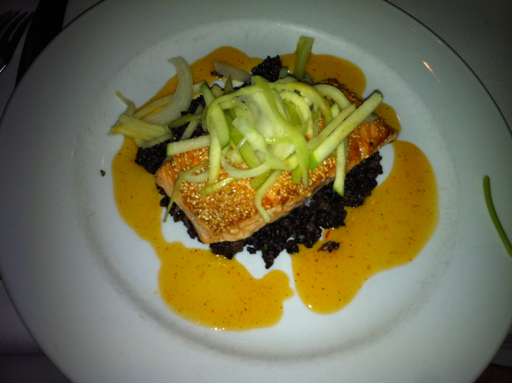 The salmon served with sticky black rice was good but nothing special. However, if you are looking for a lighter dish at this restaurant, I would suggest this as most of the dishes are very filling and heavy. Just a tip when ordering...I recommend you get the sauce on the side for whatever entree you choose because every dish tends to be drenched in sauce. 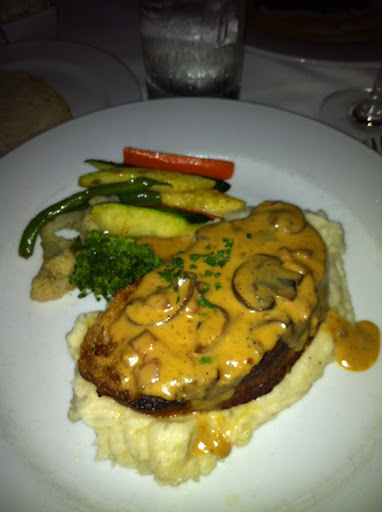 If you do not believe me, checkout the picture of the meatloaf above. Also, most of the entrees are so flavorful that you do not even need the sauce! Be sure to walk around the Bishop Arts District after dinner as there are a lot of neat art galleries and shops in the area which are open late too. Ten years ago you would not dare come to this area by yourself but now this area is booming and full of life! Dallas is a food lover’s dream with a vast amount of Dallas dining options, offering a wide range of dining experiences for Dallas residents and visitors. For a truly memorable Dallas dining, the Y.O. Steakhouse can stood out above the rest by presenting unique food prepared to perfection, served by a top notch dining staff in a warm, inviting atmosphere. Thanks a lot.